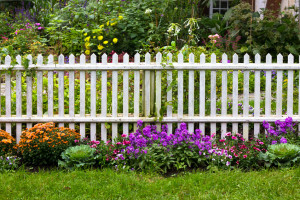 Whether it is in the front yard or backyard, any home garden in Toronto can benefit from a bit of residential fencing. A good fence adds aesthetic appeal, provides security for (and from) pets or small children, and otherwise helps mark out your property or offer privacy. There are many different styles and makes of fences to choose from, and deciding what to go with can sometimes feel overwhelming. Consider one of the following options when trying to make up your mind. This is also sometimes called a wire garden fence, but the make and material remains the same regardless of the name. Chain link is a low-maintenance, durable material that is easy to install or adjust. Although it is not the most aesthetically pleasing option, a metal garden fence is often used in backyards. Chain link is also known for being an excellent all-weather type of fence and can withstand cold winters, high winds, rain, sleet, snow, and more. Wood fences are a rustic option that can be quite affordable or even a do-it-yourself project if you can find the materials. Wood fencing can be hardy, with durability varying somewhat depending on the type of wood you use. One small downside is that a wood garden fence is easier for small animals to get under, so you may need to combine the fence with some chicken wire around the base to help keep things secure. A white picket fence is a traditional image for a reason. 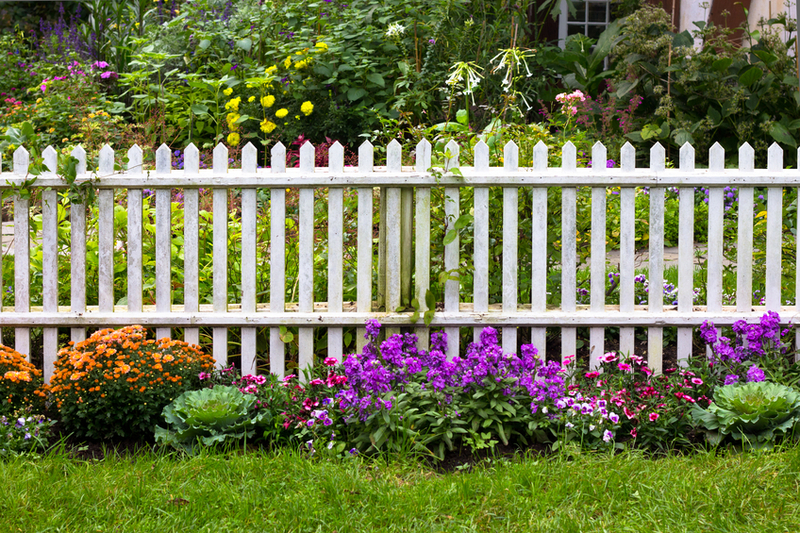 Picket garden fences are often used for front gardens due to how pleasing they can be to look at. A picket fence doesn’t necessarily have to be white, so you can customize its appearance to suit your needs. One thing to keep in mind is that this is not the best type of fence to use if privacy is your main goal, since there will be spaces between the pickets that can make your garden visible. Bamboo is a strong, durable, beautiful, and renewable material that has been growing in popularity. Since bamboo plants are prone to overtaking a property if not managed properly, fencing is best achieved by using cut stalks. The end result will be a stylish and resistant bit of fence that can enhance the front or back of any property. Prefabricated vinyl fences are suitable for urban locations and are extremely low maintenance. Since it is manufactured, a vinyl garden fence has more visual variety than other fence types. This is useful if you want to avoid painting but desire colours that don’t normally appear in wood. An additional perk is that you can custom order prefabricated fences that match your property’s arrangement, which can be a boon when dealing with unusually shaped elements of a yard. If you’re in need of residential fencing in Toronto, turn to Total Fence Inc. We have the knowledge, expertise, and talented fencing contractors to help you design, install, repair, and care for any fencing additions to your home garden. Contact us at 416-239-5362 to speak with a consultant and learn more.